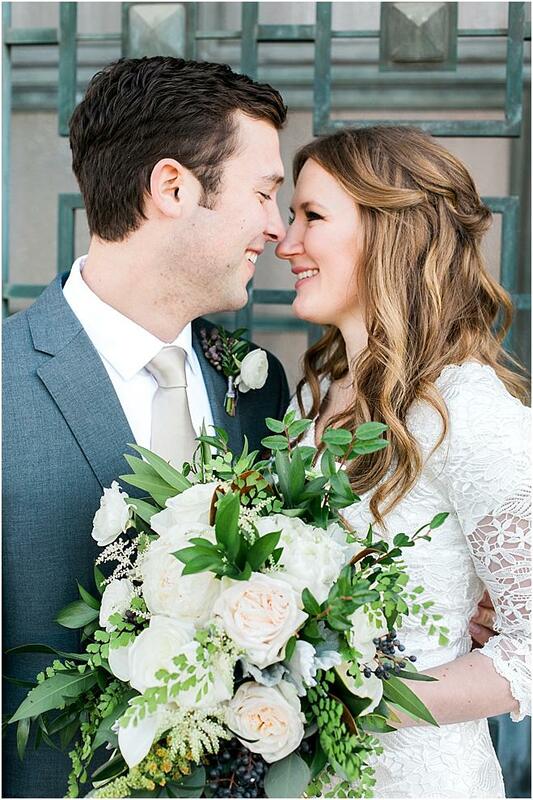 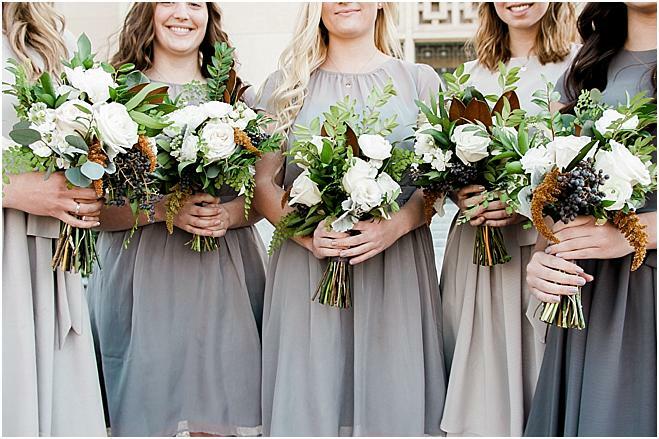 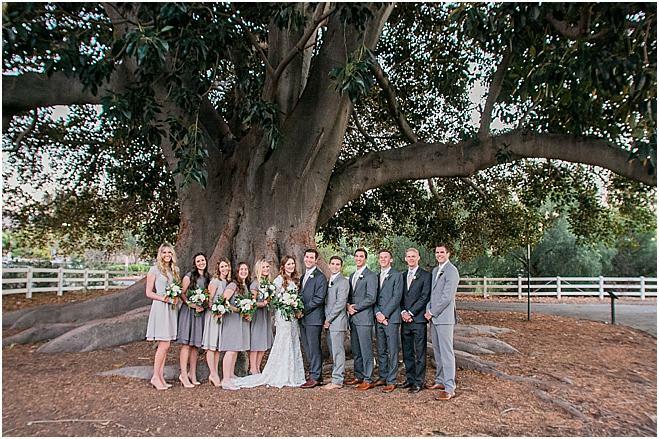 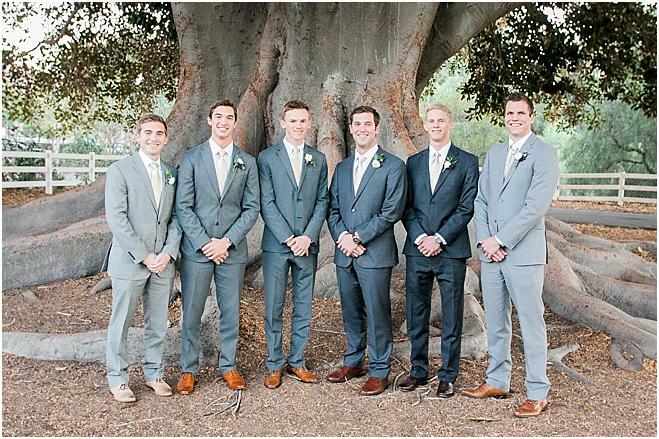 Kathryn and Walker Franks’ dreams of a winter wedding in sunny Southern California led to this stunning, luxurious, gray-hued and metallic affair. 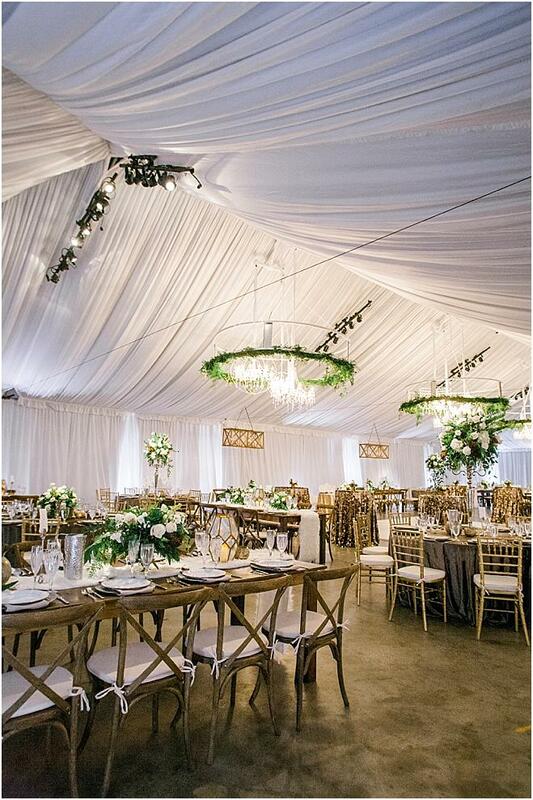 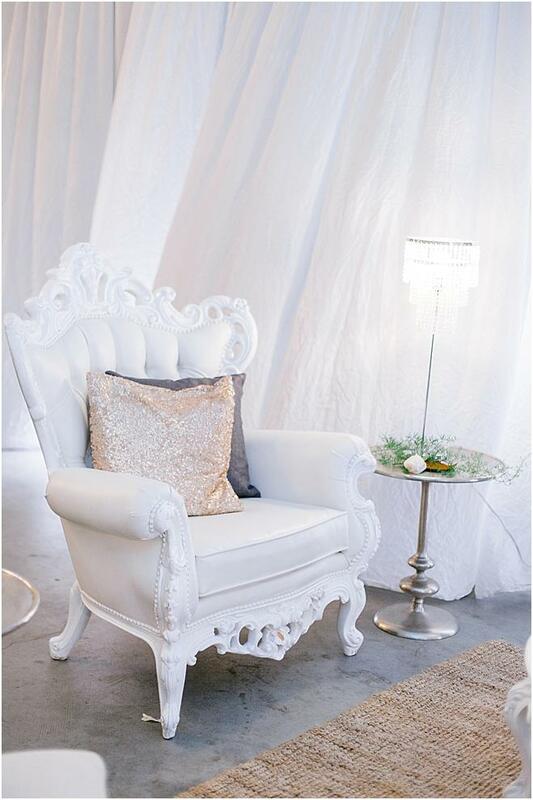 Party Pleasers’ Andrew Evans transformed the industrial 5,000-square-foot airplane hangar by building a white-draped tent inside the space. 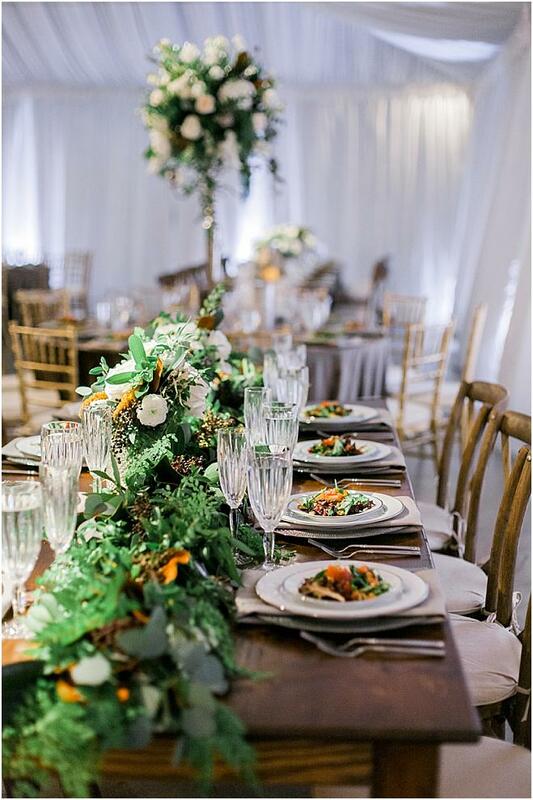 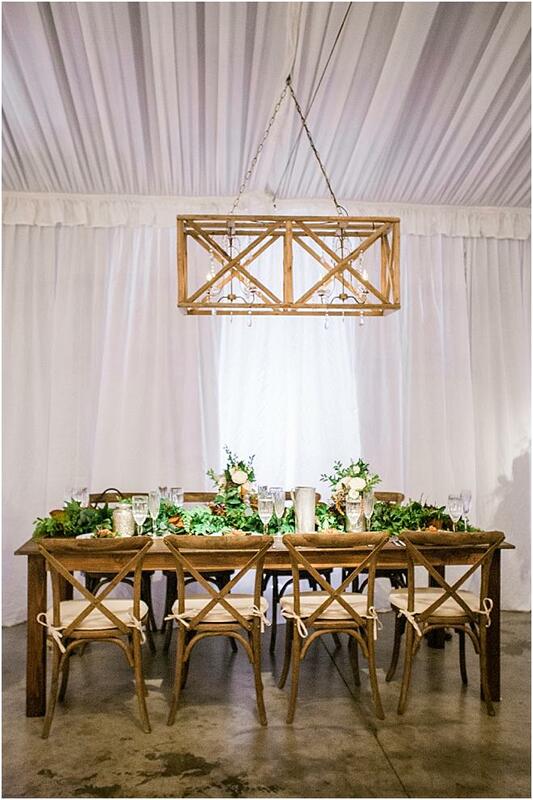 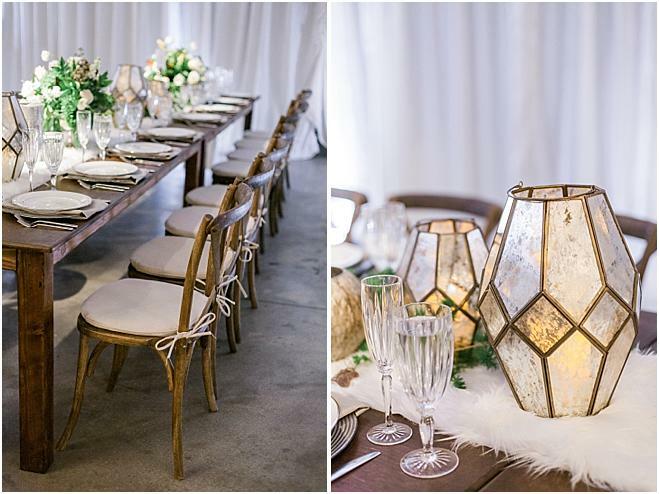 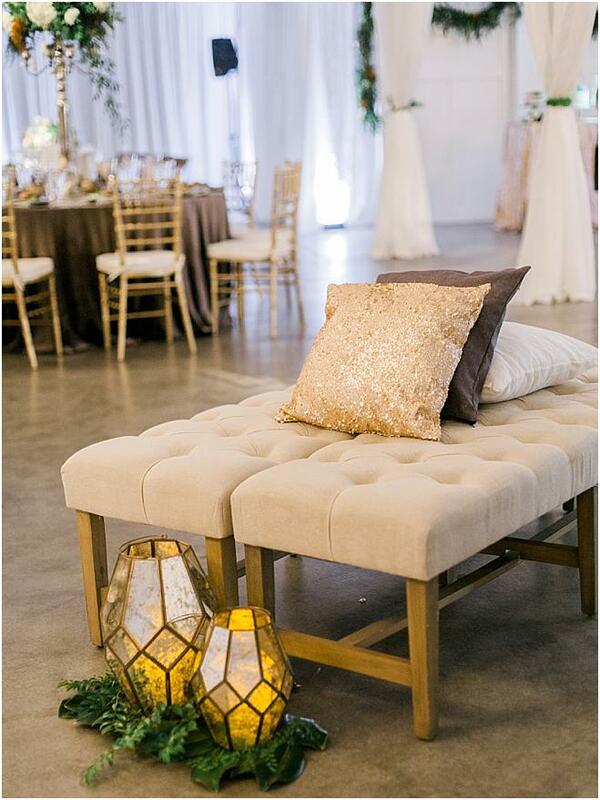 A modern mix of rustic details with luxurious textures, such as custom faux-fur table runners and velvet linens intermingled with farm tables and modern wood chandeliers, warmed the wintry palette. 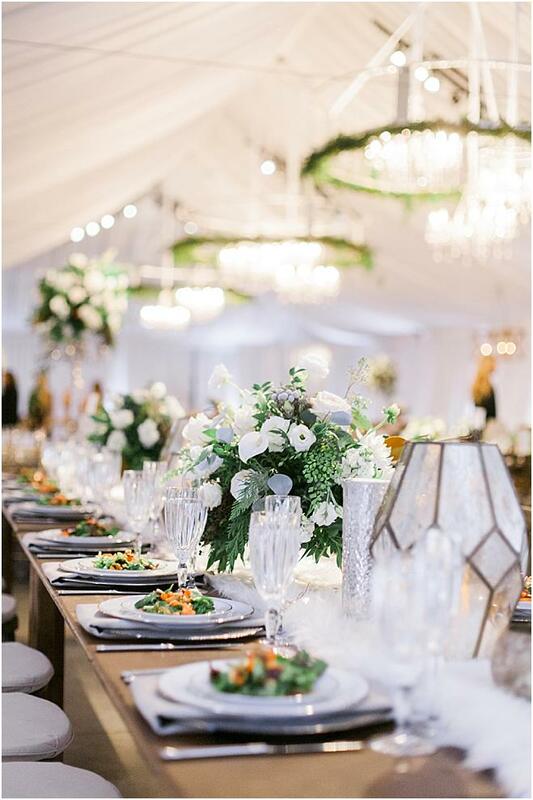 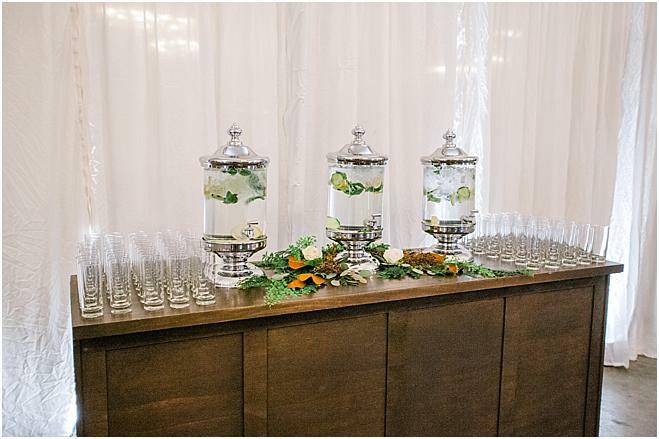 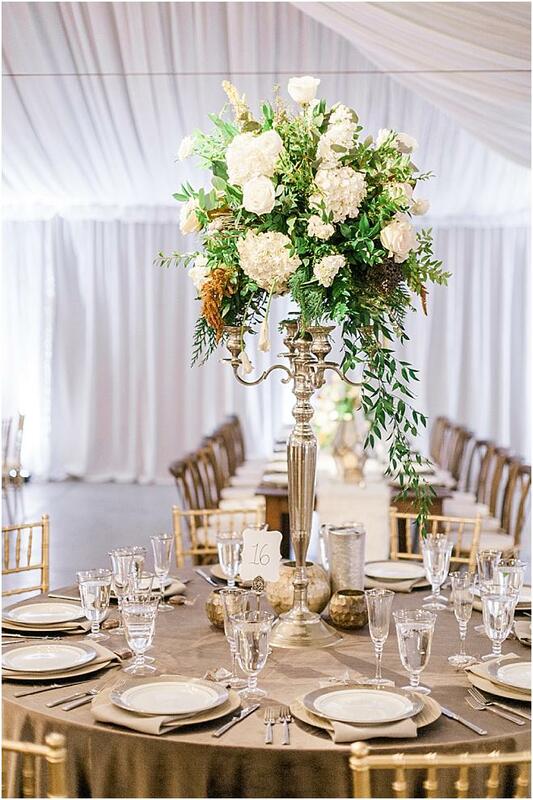 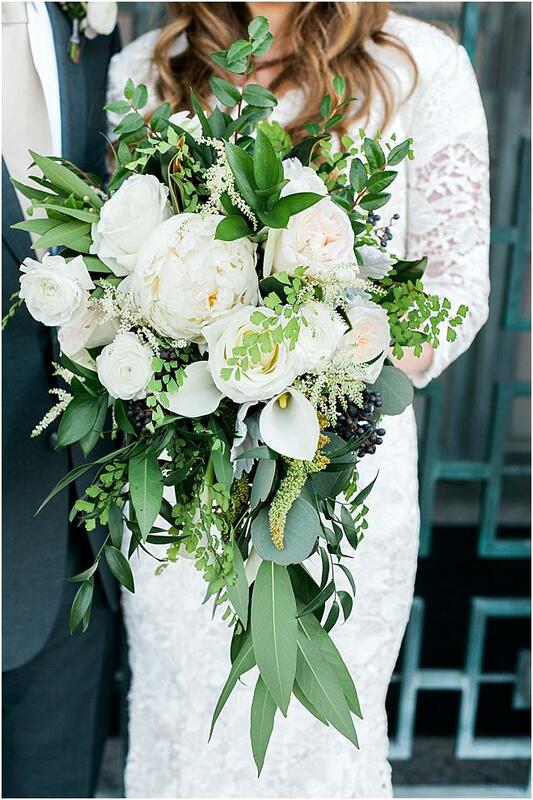 Lush greenery, rich white roses, peonies and calla lilies mingled with dahlias, astilbe, tuberose and ranunculus were arranged in tall candelabras and low mercury glass compotes. 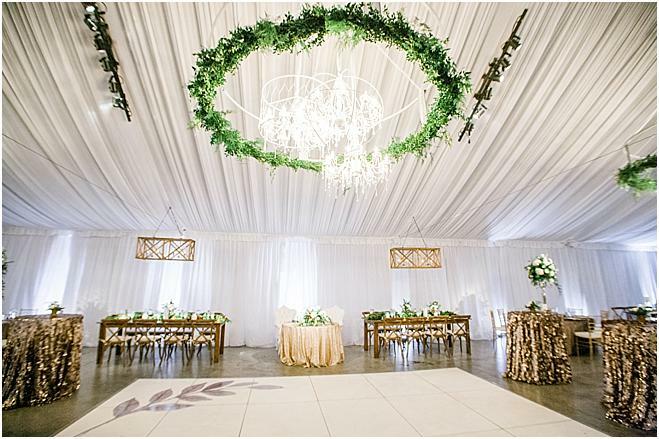 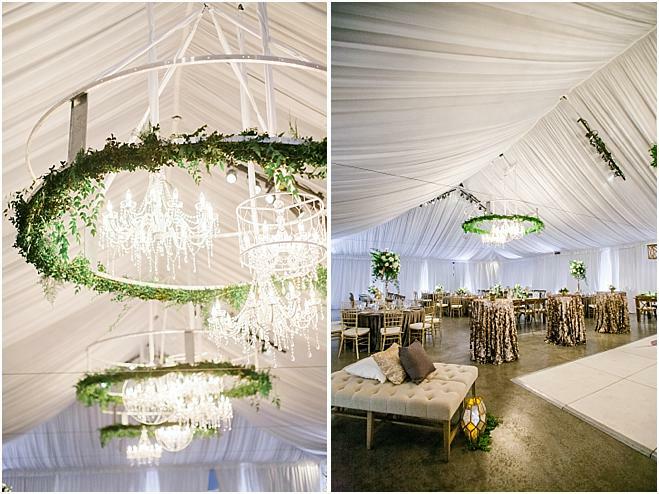 Earthy geometric lanterns and mercury votives were nestled among the florals. 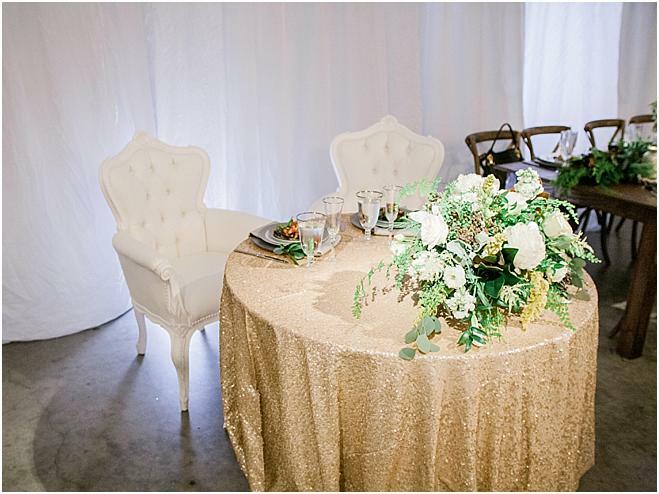 Tangles of vines softened the crystal chandeliers and glimmers of gold on the chairs and sequined cocktail tables brought warmth. 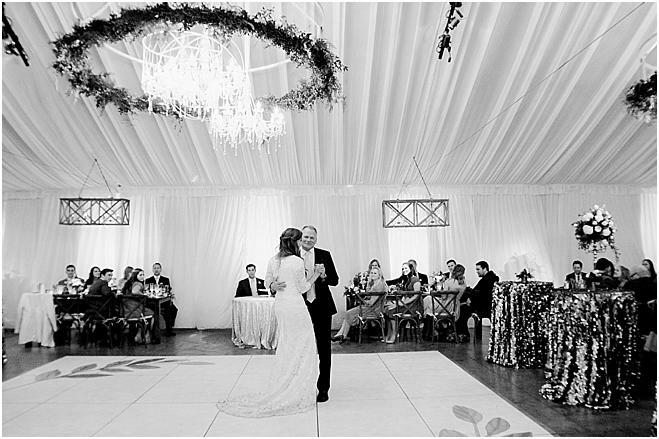 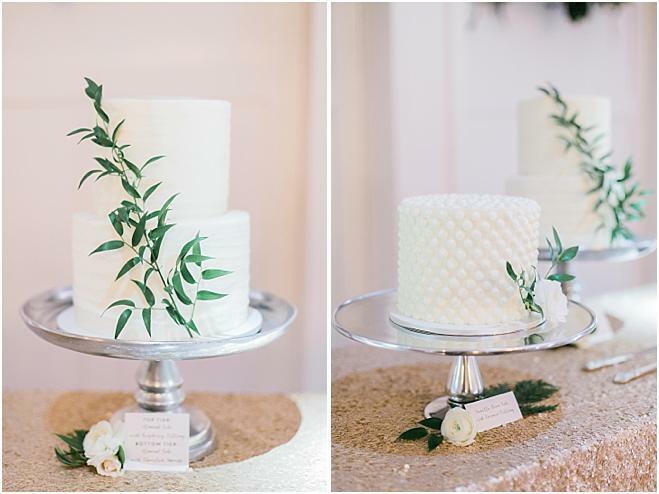 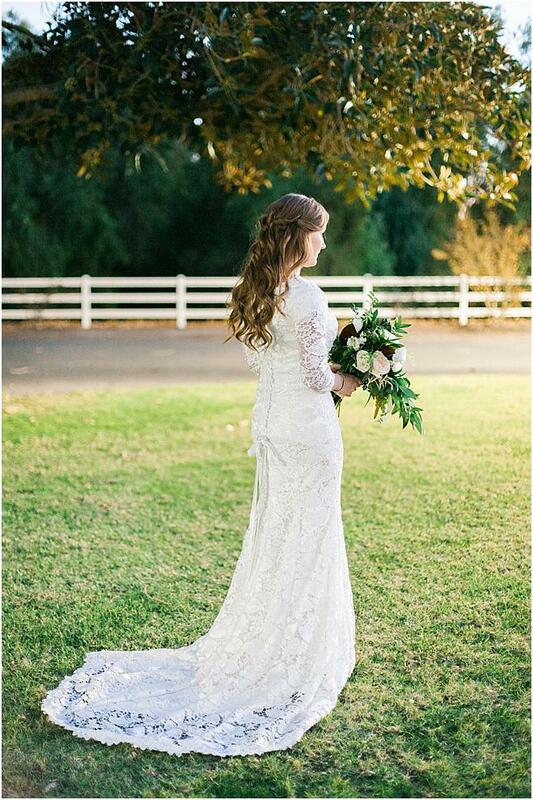 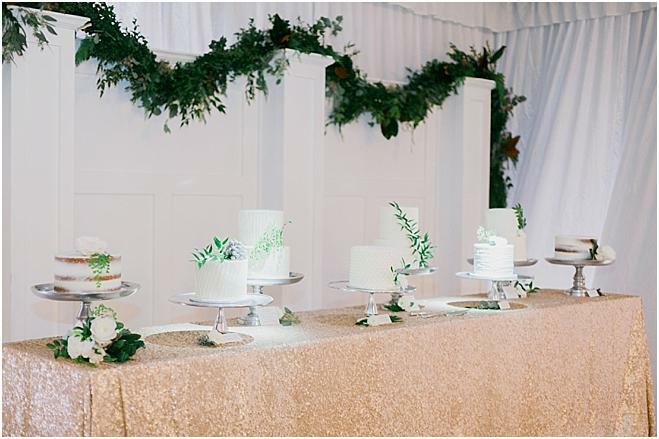 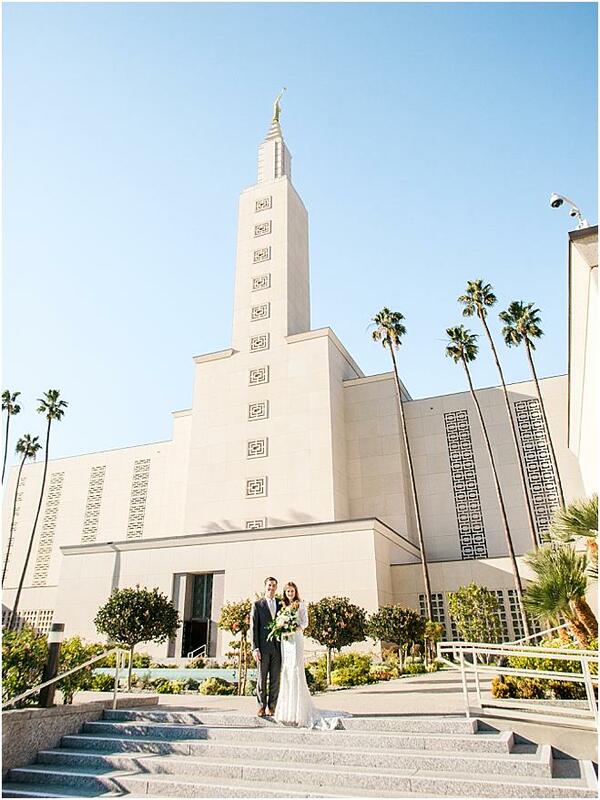 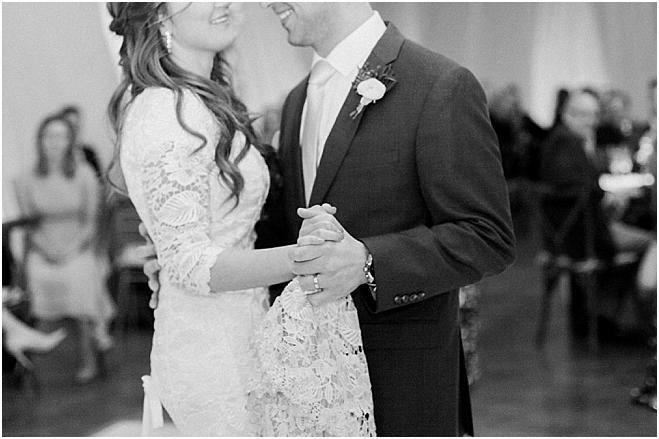 “This wedding was really about mixing elements,” notes Evans. 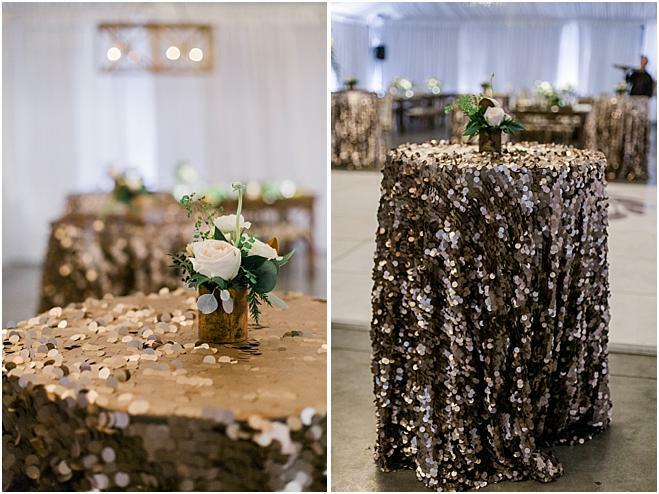 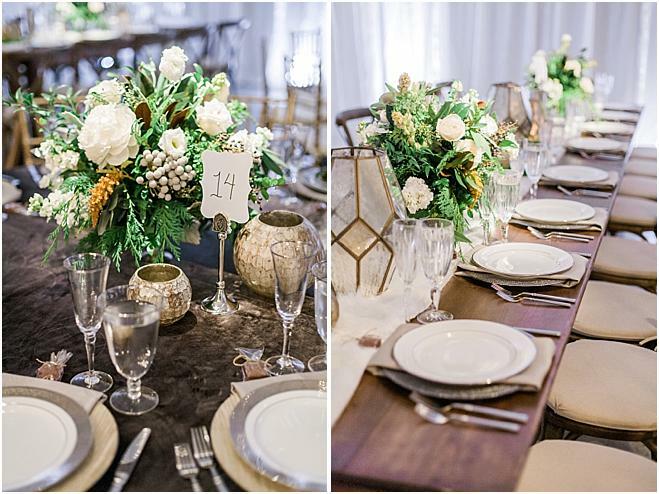 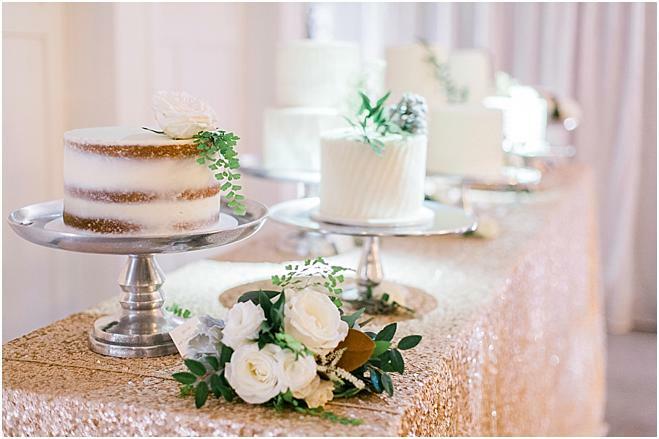 “Textures, tables, florals—everything had different elements but they all worked together to create a glamorous winter wonderland."